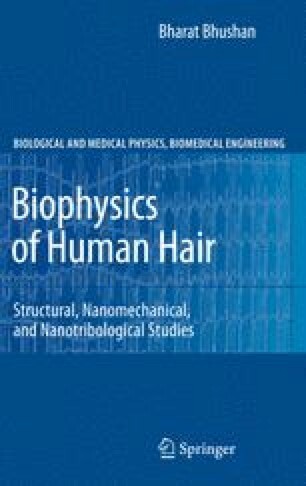 This book presents the biophysics of human hair and hair treatment. It deals with the structure of hair, the nanomechanical characterization, nanotribological characterization, the conditioner thickness distribution and binding interactions on hair surface, and surface potential studies. It is the first book on the biophysical properties of hair.